In this wrenchingly honest, eloquent memoir, Bullitt-Jonas describes a childhood darkened by the repressive shadows of her alcoholic father and her emotionally reclusive mother, whose demands for excellence, poise, and self-control drove Bullitt-Jonas to develop an insatiable hunger. What began with pilfering extra slices of bread at her parents' dinner table turned into binges with cream pies and pancakes, sometimes gaining as much as eleven pounds in four days. 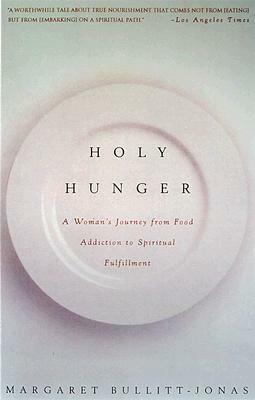 When the family urged her father into treatment, the author recognized her own addiction and embarked on the path to recovery by discovering the spiritual hunger beneath her craving for food. Holy Hunger is a brave and perceptive account of compulsion and the healing process. Margaret Bullitt-Jonas is an Episcopal Priest and lives in Boston, Massachussets.